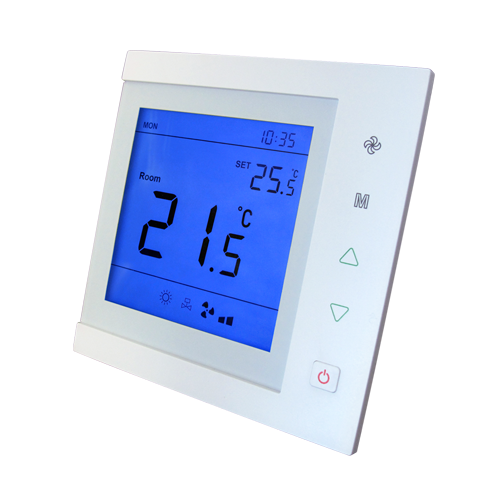 PST3 thermostats are designed to control three-speed heaters. Thermostats have the possibility of 4-zone 7-day programming which allows you to set the temperature in 4 different time zones for each day of the week separately. 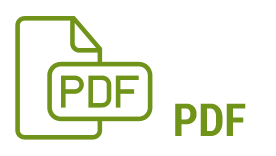 In addition, thermostats have the option of automatic activation and deactivation at a specified hour. The ability to choose one of the 3 work modes allows you to use heating, cooling or ventilation systems. It has control contacts for hot and cold water valves. 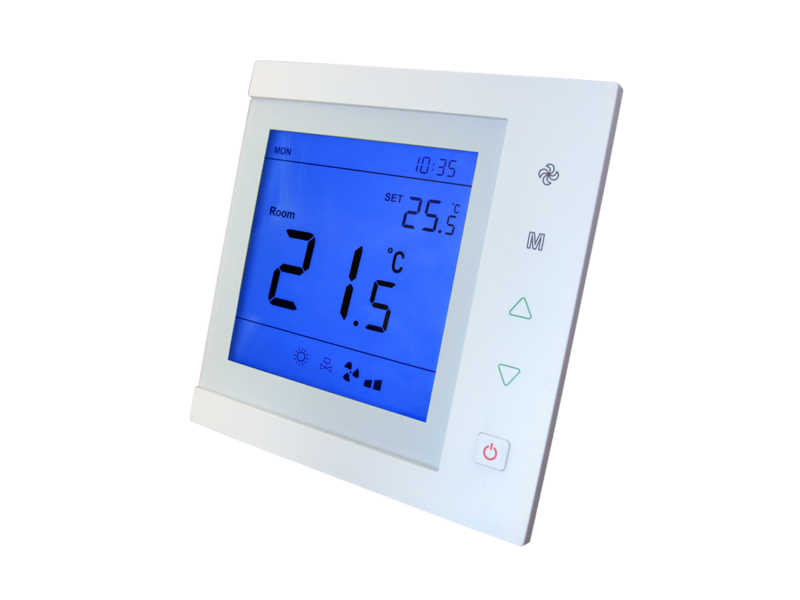 The anti-freeze function allows the thermostat to automaticly turn on the heating mode when the ambient temperature drops below 5°C. In the case of voltage disappearance thermostat switches on automatically (auto-restart).